This page has a collection of some of the best lasagna recipes, in our humble opinion. 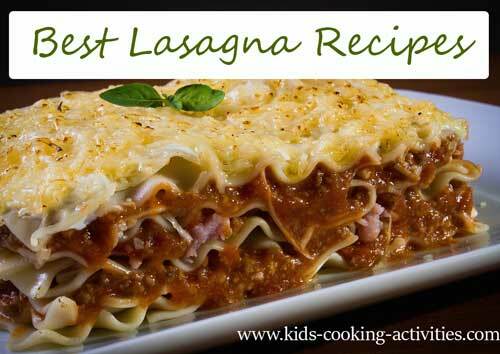 We've included several different lasagna recipes you are sure to find one your family will enjoy including a white sauce lasagna, lasagna cottage cheese, lasagna roll ups and a few new lasagna recipes with a twist such as Chicken Alfredo Lasagna and a lasagna soup recipe. 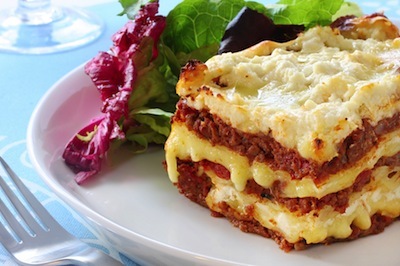 Try any of these versions to learn how to make lasagna! *If you have a jar or homemade tomato sauce you can use it in place of this. To prepare the tomato sauce, add oil to a large skillet and saute onion, garlic and ground beef. Cook until beef is no longer pink, drain fat off and add back to heat. Add in tomatoes, tomato paste, oregano, bay leaves and season with salt and pepper. Allow to simmer 15-20 minutes, while you are preparing the white sauce. To prepare the white sauce, melt butter in saucepan. Whisk in flour to make a roux. Whisk in milk slowly and allow to boil and thicken several minutes. Continue to stir occasionally. After several minutes add cheese and stir until melted. Take off heat. Ladle 1/2 Cup or less of tomato sauce on the bottom of a baking dish. Layer lasagna noodles over the sauce. Spread white sauce over the noodles. 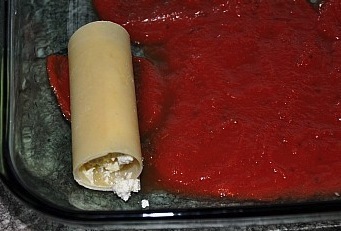 Continue layering tomato sauce, noodles and white sauce until the pan is full. Make sure your noodles at the top have a layer of liquid, either tomato or white sauce covering them. Bake at 350 degrees for 30-40 minutes or until noodles are tender. Whenever I make any of these best lasagna recipes, whether it is the white sauce lasagna or cottage cheese lasagna, I make an extra to freeze. Lasagna freezes nicely. They even sell freezer containers such as Glad ovenware, that can be placed right in the oven. Wrap your prepared dish in tin foil or place a lid on the container. When ready to cook, unthaw overnight and bake. You can take the lasagna right out of the freezer and bake but keep in mind the cooking time will be 1-1/2 hours or more. Just check periodically and allow extra time if you prefer this method. In large stock pot or soup pan, saute meat, green pepper, garlic, and onions until beef is done. Drain off fat and return to pan. Stir in tomatoes, tomato paste, water and seasoning. Add pasta and simmer until pasta is done. *Serve with a sprinkle of mozzarella cheese and Parmesan cheese. The idea of chicken lasagna alfredo is a new variation. Imagine taking out the tomato sauce with beef and instead using an alfredo sauce with chopped chicken mixed in it. Sounds good doesn't it! Our recipe here still uses a cottage cheese mixture in the lasagna as well. 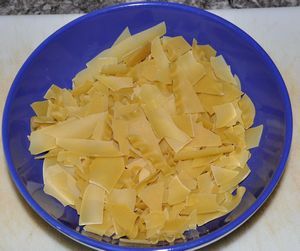 In a mixing bowl, blend together cheeses, egg, and seasonings. Stir together. 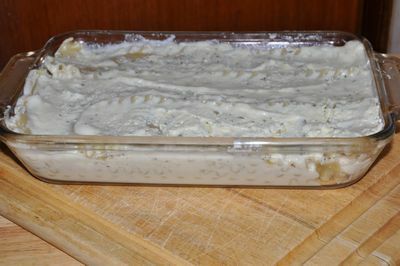 To assemble your alfredo chicken lasagna, add a little alfredo sauce to the bottom of a casserole dish. 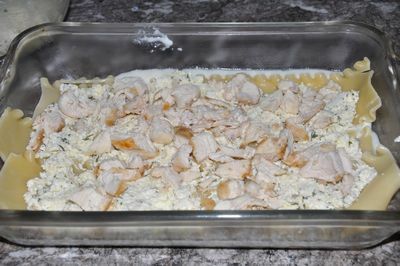 Layer with lasagna noodles, cottage cheese mixture, chopped chicken and more alfredo sauce. Continue the layers until your ingredients are gone. 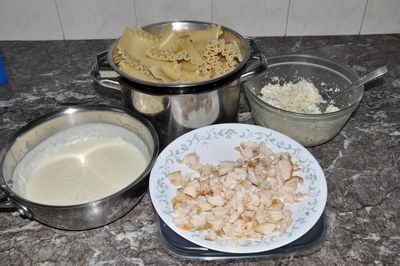 To assemble your easy lasagna recipe, cook your noodles or use ready to use noodles. Pour a small bit of spaghetti sauce on the bottom of casserole dish. Layer noodles, cheese mixture and spaghetti sauce. Continue making layers until mixture is gone. Bake 350 degrees for 35-40 minutes. 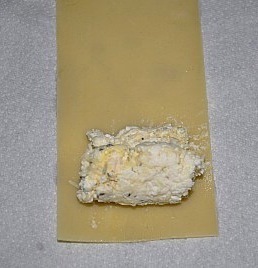 This recipe is similar to a manicotti recipe, it just uses different noodles. This is a fun way to change up your lasagna. Cook noodles and allow to cool. All you do differently from the recipe above is, instead of layering noodles and cheese, add a spoonful of cheese mixture on a cooked lasagna noodle and roll up. 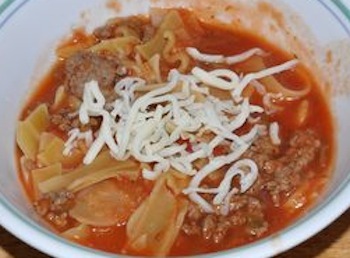 Place rolled noodle on spaghetti sauce and continue with rest of noodles and cheese. Top with spaghetti sauce and sprinkle with cheese. Bake as directed above. What is your best lasagna recipes?